In May 1988, after returning from two-year military service, I went to university and witnessed an incredible scene. In the middle of a student demonstration, held in the yard of the first building of university, were Dato Turashvili and his friends. These philologists and historians were discussing the problems relating to the Gareja Monastery Complex, while the law students from my faculty were forming cordon and maintaining order, wearing red armbands! The legal educational system of Georgia was stubbornly continuing to produce the workers of the state’s repressive machine. In this context, while attending a scientific conference in Riga, my astonishment had no limits, when we found out that the best Latvian students were already dreaming of becoming defense lawyers instead of becoming prosecutors, while the professors were assigning coursework about the legal issues of an independent Latvia. However, soon the traces of freedom had appeared in the Georgian law faculty as well. In November 1988, the law students joined the hunger-strikers in front of the Government building, along with Lado Sanikidze. The dean’s office and the party committee had condemned the conduct as ‘dishonorable for a lawyer’s dignity’. In response, a few students had left the Central Committee of the Communist Party of the Soviet Union, together with Roin Migriauli. In the same year, the law students had ‘frivolously’ traveled to help the victims of the Spitak earthquake, together with Gigla Agulashvili. The outspoken articles of law students - including those of Zaza Namoradze, had started to appear in the newspaper “Literaturuli Sakartvelo” (in Georgian, “Literary Georgia”). During the boom of the creation of informal organizations in the country, 10-12 students created the Club of Young Lawyers, with the participation of Lia Mukhashavria and Zaza Rukhadze. Under the leadership of Nino Gvenetadze, the students started arranging a library of the legal faculty. Sergo Dzagnidze and Beso Morchiladze obtained permission from the rector’s office to use a basement area - which had formerly provided storage for chemical substances, - as a gathering place for students. With the participation of Koba Davitashvili and Valeri Khaburdzania, the Club of Lawyers prepared the new edition of the constitution of the Soviet Socialist Republic of Georgia. The students responded to the address of the organization “DAS” (“Demokratiuli Archevani Sakartvelostvis” – Georgian: “the Democratic Choice for Georgia”) and under the leadership of Levan Aleksidze, Avto Demetrashvili and Lado Chanturia, started working on electoral legislation. The largest share of the legal work for preparing and conducting the first elections fell on the shoulders of the Young Lawyers. We believed that each of us was contributing to the creation of a new, independent Georgia. But life went on. In the spring of 1992, the group of Young Constitutionalists was created, with the participation of Otar Kipshidze, Tina Khidasheli, Irakli Okruashvili, Gia Getsadze, Archil Abramia, Veronika Metonidze, Giorgi Papuashvili and others. When the state constitutional commission was created in 1993, a large portion of the technical, organizational and legal support for the commission was provided by the Young Constitutionalists, along with Kote Kublashvili, Zura Burduli, Sasha Orakhelashvili, Levan Alapishvili, Dato Kakabadze and others. Throughout this time, the idea of formalizing our work and establishing an organization had emerged a number of times. However, we were holding back. We wanted to test each other in practice, to see the results of working together first; and only after this, to give everything its own name. Years of working together on an almost daily basis finally convinced us that we genuinely wanted and were capable of doing important work together. In September 1994, up to 90 Young Lawyers gathered in the Pioneers’ Palace and established the Georgian Young Lawyers’ Association. Half of the attendees were probably there out of respect for their friends. However, the second half had an absolutely clear understanding of everything. We were fighting for professional and civil survival. We wanted to establish new professional standards. We wanted to safeguard professional dignity. We wanted to perform our duty as citizens. We wanted the feeling of standing together. We also awfully did not want something. We did not want to become like those who, in our view, were dishonoring our profession, trampling on fundamental values and treating the country as a money-making workshop. 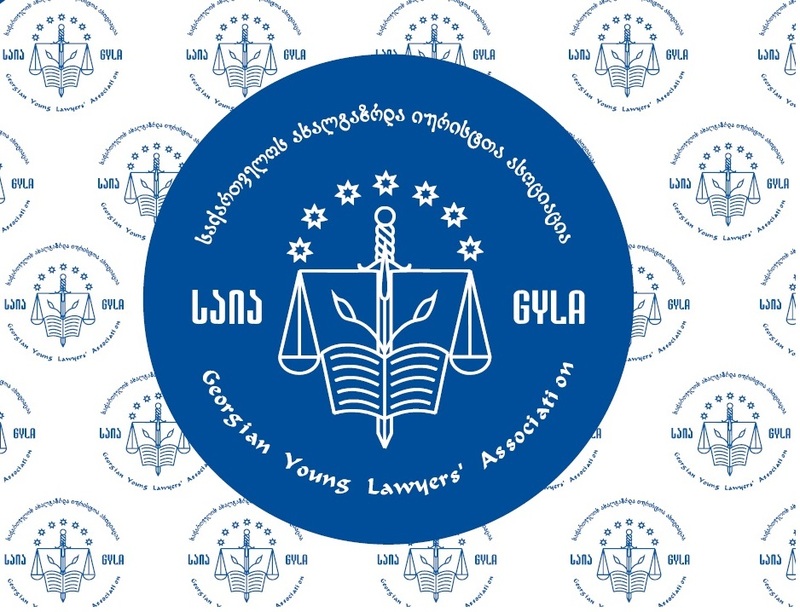 Since then, the Georgian Young Lawyers’ Association has been firmly safeguarding and serving the same principles and values for which it was established years ago. We provide legal consultation free of charge for up to 50 thousand individuals annually, and represent dozens of individuals before the courts and other administrative bodies to help recover their violated rights. We address the Constitutional Court of Georgia and the European Court of Human Rights every year, in strategically important cases for the protection of human rights. We actively cooperate with all three branches of government and support the creation of legislative guarantees for the protection of human rights. Our nine offices conduct up to 200 meetings annually with the population, for raising their legal awareness. We have up to 800 members, over 100 staff members and dozens of partnerships with local and international organizations and donors. We create opportunities for up to 200 students annually, to deepen their knowledge and improve their practical legal skills. Our library serves dozens of readers on a monthly basis. GYLA works to establish the rule of law and protect human rights in all of its projects and activities, both at the individual and institutional levels. With this approach, over years of work. GYLA has achieved significant success in human rights protection – both in the domestic courts and at the international level. This is demonstrated by up to three thousand (3,000) successful cases in the various courts of Georgia. Moreover, out of 30 lawsuits submitted to the Constitutional Court, eight (8) have ended successfully. Out of 135 lawsuits submitted to the European Court of Human Rights, eight (8) of these have also ended successfully, while the vast majority remain under consideration. GYLA for years has been conducting monitoring within various projects. These relate to a number of spheres: criminal; administrative; evaluation of conditions in prisons and revealing violation of inmates’ rights; property rights and protection of the rights of Internally Displaced Persons (IDPs). For years, GYLA has been actively working on media issues. We have also implemented a number of anti-corruption projects (for example “The Government of Georgia under the Sun”, “Freedom of Information in Georgia”, “Rehabilitation beyond the Facade”, “Monitoring the Budget Spending”, etc.). GYLA has observed and monitored elections in the country for over 15 years. GYLA has implemented three particularly high-profile campaigns: “Right to Life”, “Do Not Torture” and “This Affects You”. GYLA was a 2013 finalist of the Václav Havel international competition on human rights. Becoming a finalist of this highly prestigious competition was seen as a great success for GYLA. The accomplishment is a great honor for the organization, but also represents an increased responsibility to further strengthen our work towards the protection of human rights in Georgia. GYLA for years has been cooperating with international organizations, who in turn prepare their reports based on information and research provided by GYLA. GYLA is recognized as one of the most well-known NGOs in Georgia, according to sociological research conducted in 2014.